Valencia CF won the UEFA Cup 15 years ago – the predecessor of the UEFA Europa League. A triumph that led to Villarreal CF in the semi-finals, when the two Spanish clubs, just 60 kilometers apart, had met in an international competition. Then as today, the first leg was first held at the Estadio de la Cerámica in Villarreal in the north. After a goalless draw, Valencia’s Murciélagos scored a 1-0 home win for their place in the final. Now the yellow submarine (spanish “El Submarino Amarillo”) would like to return the favor 15 years later and enter the semi-finals of this competition for the fourth time in the club’s history after 2004, 2011 and 2016. By the way, after the draw has already been completed, the winner of this match in the form of Arsenal FC or SSC Napoli is waiting for a real international heavyweight. In this first leg between Villarreal and Valencia, bookmakers’ odds, especially in the classic 3-way system, are extremely lucrative. Finding a clear favorite is anything but easy, because with the knowledge in mind that progressing will not be decided until next week’s Valencia Mestalla Stadium, no team in this derby should want to head through the wall. At Villarreal vs Valencia, the prediction must therefore take into account that a game is to be expected, in which the range from another goalless draw to a narrow victory of one of the two teams is quite large. That makes a bet on victory, a draw or a defeat very difficult, which is why we at Villarreal. Valencia choose another tip. We assume that in the end, at most one team will score. Brisanterweise it was the aforementioned 0-3 away loss at neighbor Valencia CF, the coach Luis García has cost the job. For him took over with Javier Calleja just the man who had to vacate the coaching bench a year earlier in just as precarious position for just that Luis García. Although it was under García at the end of the season but still in the Europa League, so the yellow submarine is currently highly relegation threatened. The 2-1 defeat at the weekend at Betis Sevilla marked the third game in succession without a win, making the all-yellow Submarí Groguet after 31 of 38 league games graduated again slipped to a relegation place in La Liga. At the moment three factors can be identified for the crisis of the triple semi-finalists of the Europa League. First of all, there are a number of key players in midfield, especially Manu Triguero. Second, the team’s goalscoring these days is remarkably difficult, with just 39 goals from 31 league games relegated. And third, an unfamiliar home weakness in the domestic Estadio de la Cerámica is observed, which should certainly be considered between Villarreal and Valencia for the tip. Finally, the yellow submarine won only three of its 16 league games in front of home crowd, which is a very devastating value overall. 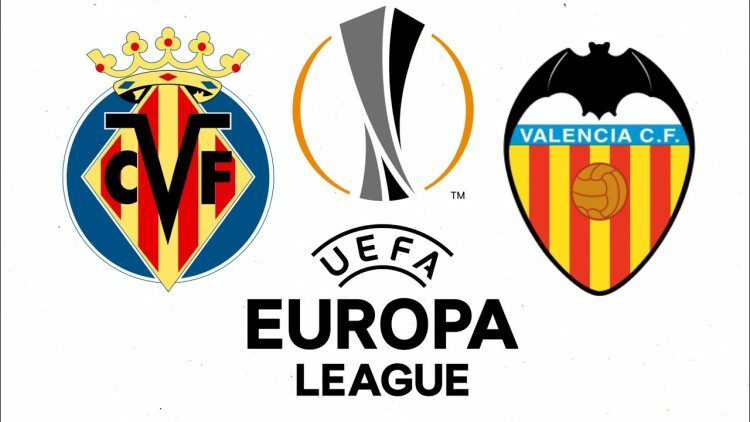 Although it can be stated that Villarreal CF won at least six of the last 14 home games at Europa League level and could even win seven victories in series at home, but there was also no success against Valencia CF in La Liga before the home crowd in the current Season. Courage is likely to make the yellow submarine at least still look into the history books. Two times the club has been in the quarter-finals of the Europa League and managed both times the leap into the semifinals. The performance is particularly high: Villarreal have won every quarter-final match so far and scored 14 goals in these four games. And after all: As bad as the performance of Javier Calleja’s kicker in La Liga is, they have been more international so far and have already been able to beat two top-class opponents, Sporting Lisbon and Zenit St. Petersburg. Alone with a view to the history, Valencia CF brings as former overall winner of this competition (2004) considerably more radiance. But not only that – with six Spanish championships, six triumphs in the Copa del Rey, the European Cup Winners’ Cup (1980) and two finals in the Champions League (2000 and 2001), the bats are far more successful , Thus, Valencia CF originally also launched in the premier class, was eventually graded as a group Knight in the second most important European competition for club teams. In addition, “Los Ches” after a mediocre first round, in which at times because of the very poor Torausbeute even the descent ghost on the Spanish east coast, have long been caught again sustainable. Also, with only 26 conceded in La Liga – second-best value after Atlético Madrid – are just five season defeats to book, which in turn is the second best league after leaders FC Barcelona. No wonder then that the Taronges are back on course towards Europe, although they are not fully prepared from setbacks. So the team of Marcelino García summarily put their rehearsal on Saturday completely in the sand and lost the relegation-threatened Rayo Vallecano surprising 0: 2. This was particularly noteworthy as they had two threes against two of the country’s strongest teams against Sevilla and Real Madrid. After 17 competitive matches in series without defeat it was probably also a wake-up caller at the right time, although at Villarreal. Valencia, the odds of the bookmakers doubtless much more clearly had turned out in the direction of Valencianistes, if now had 18 games in series without defeat to book. Nevertheless, some points in this duel speak for the Murciélagos. Above all, the fact that coach Marcelino García was between 2013 and 2016 coach of Villarreal and the opponent knows well. In addition, Valencia remained without conceding in both league games against Villarreal and has good away values ​​in La Liga in the balance to throw. The Taronges scored 21 points from 15 games in the distance, giving them the sixth place in the away table, which they currently occupy overall. But: At least on a European basis, that does not read quite as positive. Only one of their past six away games in UEFA competitions has won “Los Ches” (three draws and two defeats) and has even lost to a Spanish opponent in a quarter-final of the Europa League (Atlético Madrid, 2010). The last four away games from the quarter-finals of the Europa League ended all with a defeat, which must be avoided in this first leg necessarily. A total of 46 clashes between Villarreal CF and Valencia CF are recorded, including the two duels in the 2004 UEFA Cup semi-final. In the two international competitive games between the neighbors in eastern Spain fell with a goalless draw in the first leg and a narrow 1-0 home win of the bats in the second leg only a single goal. In general, “Los Ches” lead the direct comparison but with 19 games won scarce, the yellow submarine has won in ten draws also 17 times against the Taronges. Incidentally, both games have already been played in La Liga. Villarreal were without a 1-0 draw between the two teams on matchday five, with Valencia winning the second leg at home on Matchday 21, 3-0. Last, but not least, at Villarreal against Valencia must also be included in the prediction that the Taronges also travel with personal worries in this Derby. In the defensive midfield with Kondogbia (thigh muscle break; Saisonaus) and Coquelin are missing not only two important performers injured, but with Carlos Soler another cornerstone in the system of Marcelino García must serve a yellow card suspension in the first leg. These are factors that play a big role in this first leg, with all the signs that tend to move towards bats. So “Los Ches” certainly will not blow to the assault in the Estadio de la Cerámica, but should be able to live with the goalless draw, which gave it already in 2004 in the semifinals and in the first round of the current season in La Liga, excellent. It would also be a result that would give the yellow U-boat an acceptable starting position for the second leg, Villarreal would have at least played to zero and with own away goal next week, a big advantage. In short, in this all-Spanish duel, there is much to say that both teams will clearly focus on the defensive. Incidentally, this fits in with their performance in La Liga, where just in the game forward on both sides rarely took place a spectacle. In the end, even a single goal could be the rash in either direction, which is why we at Villarreal vs Valencia is the most sustainable bet in placing a bet on a maximum of one team.